First of all, heat the wok and add in the oil. 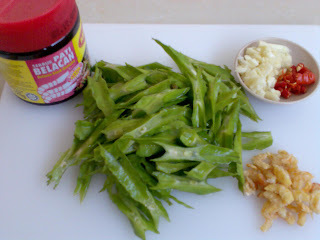 Add in the chopped garlics, follow by dried shrimps, chopped chili & belacan powder. Then, add in the four-winged beans. Stir fry it & add in the water. Continue to stir fry until the beans cook. 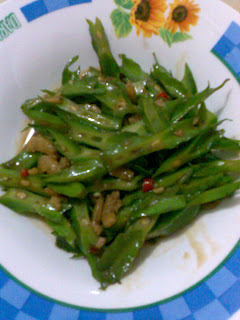 Finally, dish out & serve with hot rice.